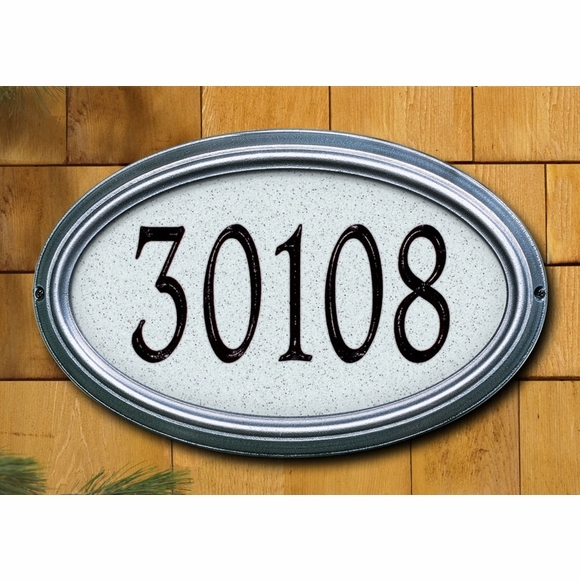 Artisan Stone Large Oval Street Number Sign - - personalized one line address plaque features extra large numbers for good visibility from the curb. 20.5" x 13.25" estate-size address plaque holds five 5.5" numbers. House number sign with over-sized 5.5" numbers and distinctive dimensional frame.